Hmmm ...anything by Enid Blyton. None at the moment. I'm trying to get through all the ones I own. Several books at once. Keeps me from getting bored. I’ve definitely been reading lots more and with more variety! Boy, Snow, Bird by Helen Oyeyemi. Quite a few! 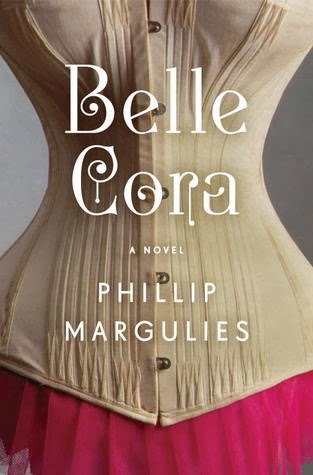 But Belle Cora by Phillip Margulies is a standout. Whenever I can. I read pretty eclectically so I approach each book as a new adventure! Hmmm. How the heck do I answer this? Yes. Though I'm noticing I'm not as tolerant these days. In bed just before going to sleep. 15. What’s your policy on book lending? I rarely do. When I'm ready, I just give my books away. 16. Do you dog-ear your books? 17. Do you write notes in the margins of your books? 18. Do you break/crack the spine of your books? 19. What is your favourite language to read? English. I only know two languages so this is a weird question. If I can connect in some way. If I really enjoyed it, I'll shout it from the rooftops! Contemporary fiction. Literary fiction. Fantasy. Historical fiction. Children's picture books. How do I choose one? Buffett: The Making of an American Capitalist by Roger Lowenstein. What a fascinating man! Of course! And yes, they are helpful! Passione by Gennaro Contaldo. He's one of Jamie Oliver's mentors. His cookbook also reads like a biography and the photography is amazing. Eat Now Talk Later by James Vescovi, a memoir that shows how important it is to document family moments (including secret family recipes!). Anything as the mood strikes. 29. Name a case in which hype ruined your reading experience? Some books get all the raves on book blogs. If the reviews are overwhelmingly great, I cave, and I did for both The Night Circus by Erin Morgenstern and Cinder by Marissa Meyer. In both cases, I found they were not the next best thing since sliced bread. 30. How often do you agree with the critics about about a book? *Shrug* I have no idea. Pretty neutral. I try to find both good and bad and its very rare that a book is all-bad! Spanish. I want to read Gabriel Garcia Marquez in his native tongue. 33. Most intimidating book I’ve read? Anna Karenina by Leo Tolstoy. This was the longest classic I had read in university and it scared the crap out of me for some reason. Now it's one of my all-time favourite books. Les Miserables followed soon after ... and again, it's now an all-time fave. 34. Most intimidating book I’m too nervous to begin? 1984 by George Orwell. I have a copy and it's just there, waiting for me to read it. I worry that I'll hate it. I don't read much poetry so I don't have one ... yet. 36. How many books do you usually have checked out from the library at any given time? I used to check out anywhere between 2 to 10 books in one go. 37. How often do you return books to the library unread? Another trick question? The raggamuffin Gavroche in Les Miserables is one of them. Severus Snape. Because he's a villain. But he's not. Whatever I have on the my TBR at the moment. 41. The longest I’ve gone without reading? 42. Name a book you could/would not finish? Hate me: The Life of Pi by Yann Martel. I don't find it very engaging and I just abandoned it. I loved the movie by the way. 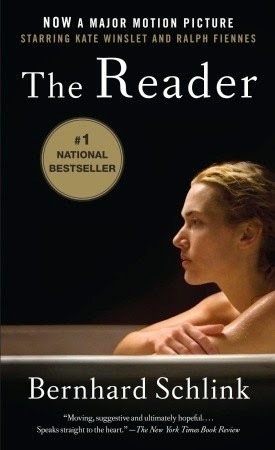 Atonement by Ian McEwan and The Reader by Bernard Schlink. The Scarlet Letter. Demi Moore. A happy ever after. Surely ye jest. 46. Most money I’ve ever spent in a bookstore at one time? Close to $100. That's once in a blue moon. Otherwise I'm a bit of a tightwad. Rarely. I hate spoiling things for me. If I reach halfway, I'd probably stick it out! Physically, I am horrible at it. Virtually, I'm a neatfreak. Depends on the book. Some books are keepers. Some books are meant to be set free. 51. Are there any books that you’ve been avoiding? Slaughterhouse Five by Kurt Vonnegut. Fight Club by Chuck Palahniuk. Why do some men authors seem intimidating to me? 52. Name a book that made you angry? Say You're One of Them by Uwem Akpan. 53. A book I didn’t expect to like but did? 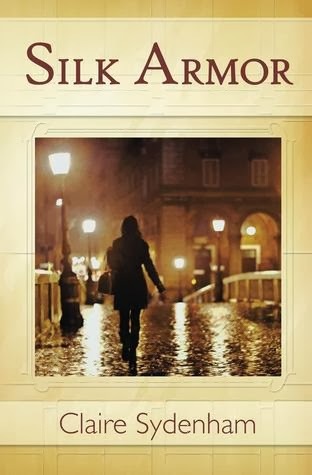 Silk Armor by Claire Sydenham. The cover says nothing to me. Inside is a treasure. 54. A book I expected to like but didn’t? The Night Circus by Erin Morgenstern. Atmospheric but the plot fell apart. 55. 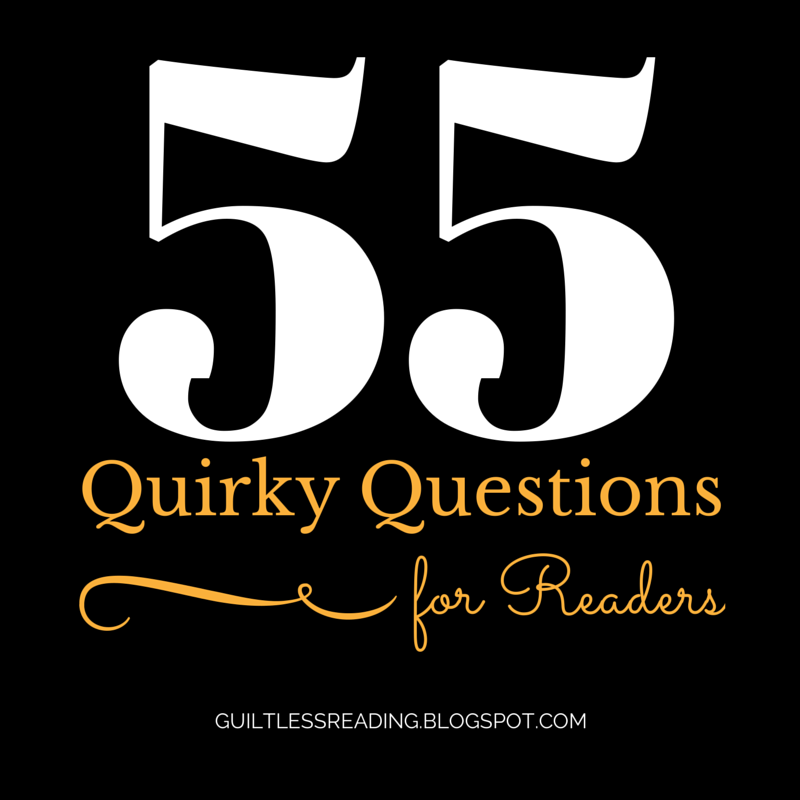 Favourite guilt-free guilty pleasure reading? Am I supposed to say something like err ... smutty reading? Are you a fellow reader? I'd love to see your answers! Interesting about BOY SNOW BIRD by Helen Oyeyemi. I'm inclined to agree with you on this one! Aside from the character development of The Rat Catcher, I didn't like it as much as I thought I would. As always, I love reading your blog, Aloi! Cool questions :D I hadn't seen this particular meme before. I'm so glad I read Night Circus before I was a blogger ;) Hype tends to ruin reads for me as well. Boo to hype!